If you’re interested to keep up with Samuel’s work, you can find him on Facebook, Twitter, and sign up to his mailing list here. While he is consistently working on independent projects, Samuel is also available to hire as a writer, editor, photographer and filmographer. Samuel holds a Bachelor of Arts in Communications (Honours), a Master of Arts in Creative Writing and a Bachelor of Teaching. 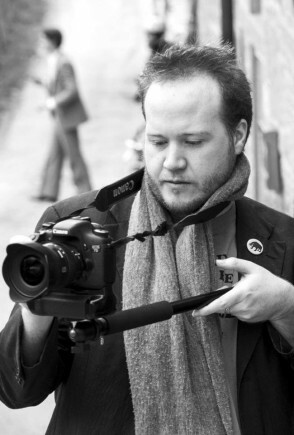 He is a published writer, poet and photographer and has many years of experience in shooting and editing film. As the editor of Mood of Monk, and a writing tutor for many years, Samuel is highly skilled in proof reading and editing writing of all types. He can write advertising copy (web or print) from scratch or edit and improve existing drafts to better communicate with your customers. Samuel can also help creative writers to find their voice and improve their creative process by honing their skills and through feedback and direct mentorship. All work is billed at an hourly rate or per project, and prices are negotiable to suit your situation. Aside from those available on this website, portfolio samples can be given on request. To contact Samuel for your company, project or major work, fill out the form below and he will be in touch via email ASAP. To get in contact with Samuel for any reason, please use the form below.